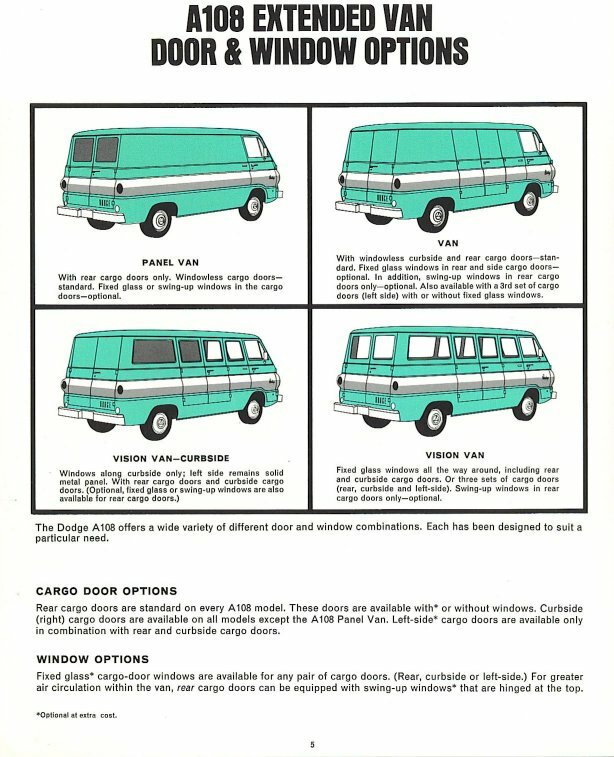 The Dodge A108 offers a wide variety of different door and window combinations. Each has been designed to suit a particular need. 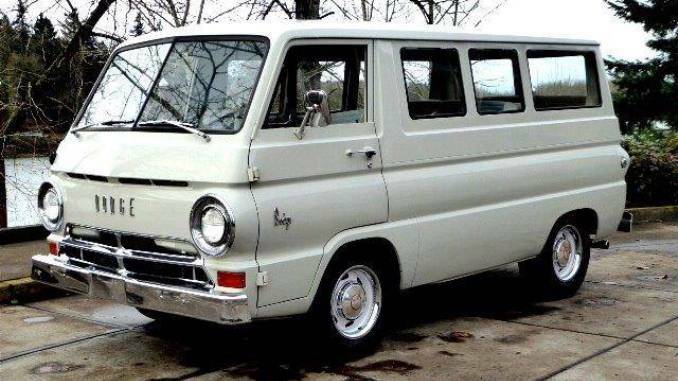 With windowless curbside and rear cargo doors-standard. Fixed glass windows in rear and side cargo doors-optional. In addition, swing-up windows in rear cargo doors only-optional. Also available with a 3rd set of cargo doors (left side) with or without fixed glass windows. With rear cargo doors only. Windowless cargo doors standard. Fixed glass or swing-up windows in the cargo doors-optional. Fixed glass windows all the way around, including rear and curbside cargo doors. Or three sets of cargo doors (rear, curbside and left-side). Swing-up windows in rear cargo doors only-optional. Rear cargo doors are standard on every A108 model. These doors are available with* or without windows. Curbside (right) cargo doors are available on all models except the A108 Panel Van. Left-side* cargo doors are available only in combination with rear and curbside cargo doors. Fixed glass* cargo-door windows are available for any pair of cargo doors. (rear, curbside or left-side.) For greater air circulation within the van, rear cargo doors can be equipped with swing-up windows* that are hinged at the top.